• A buckle collar is fine for most dogs. 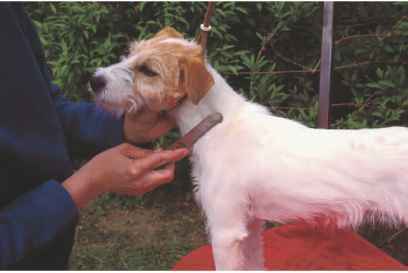 If your dog pulls very hard, try a head collar, a device similar to a horse halter that helps reduce pulling by turning the dog's head. Do not use a choke chain (sometimes called a training collar), because they cause physical harm even when used correctly. • Six-foot training leash and twenty-six—foot retractable leash. • A few empty plastic soda bottles with about twenty pennies in each one. This will be used to impersonally interrupt misbehaviors before redirecting dogs to more positive activities. 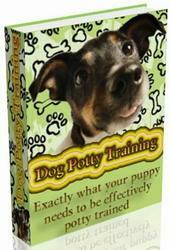 • A favorite squeaky toy, to motivate, attract attention, and reward your dog during training.